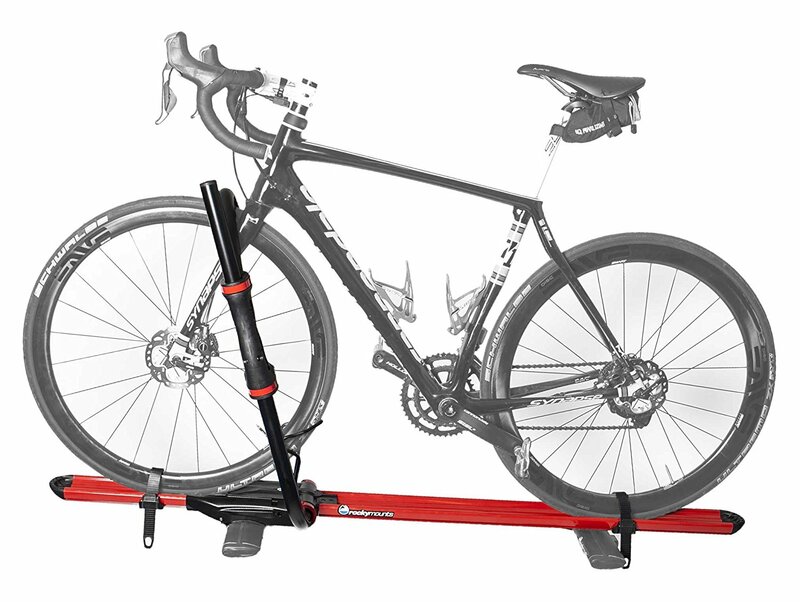 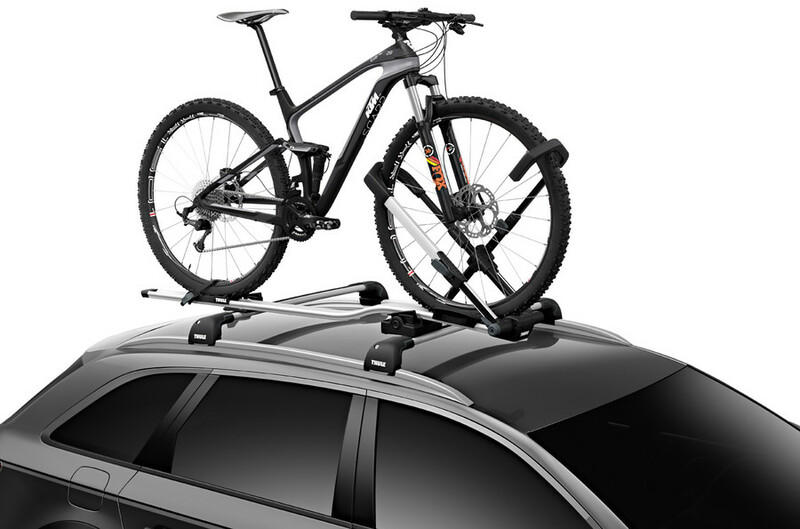 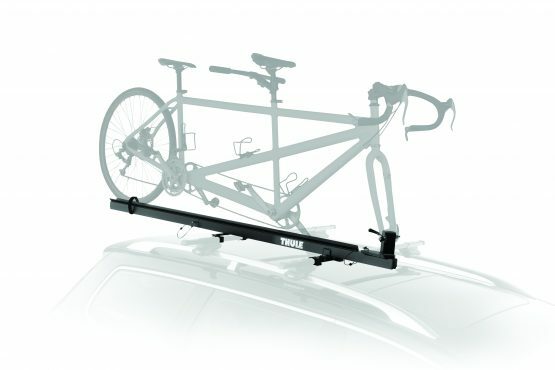 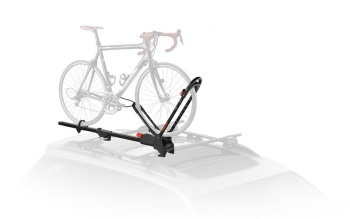 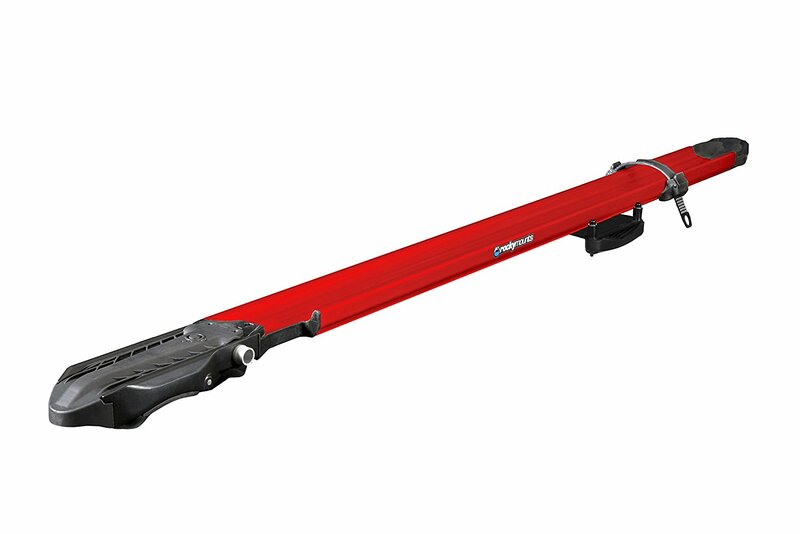 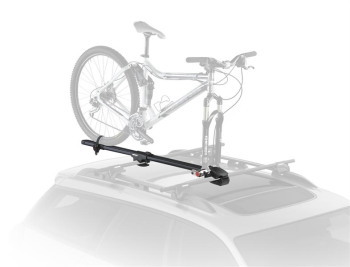 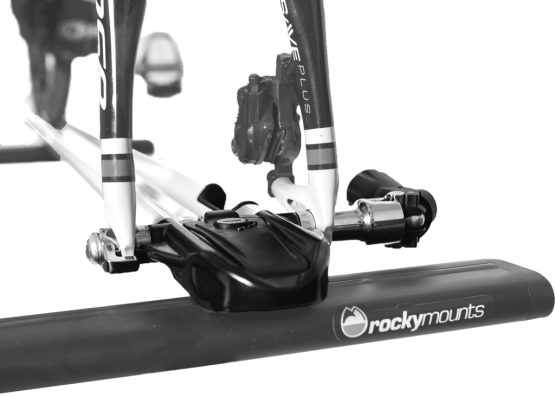 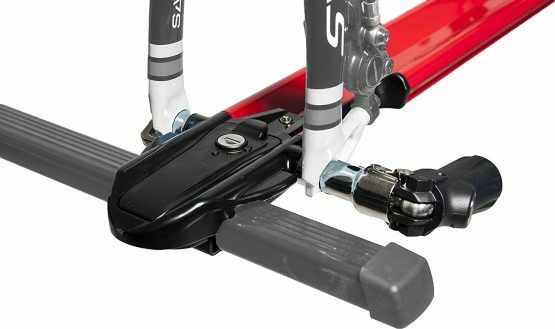 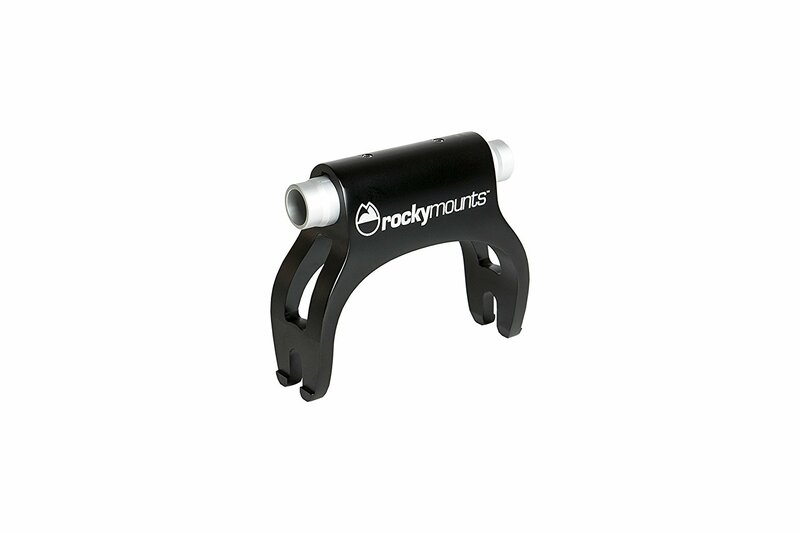 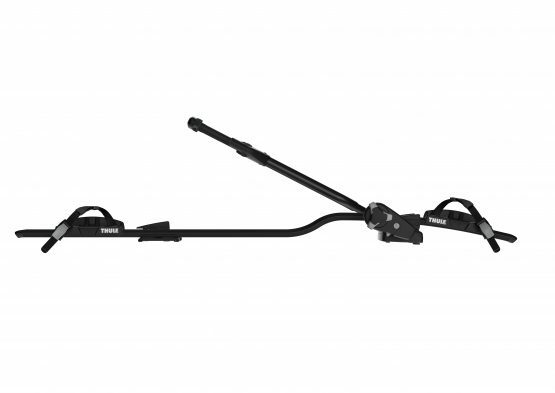 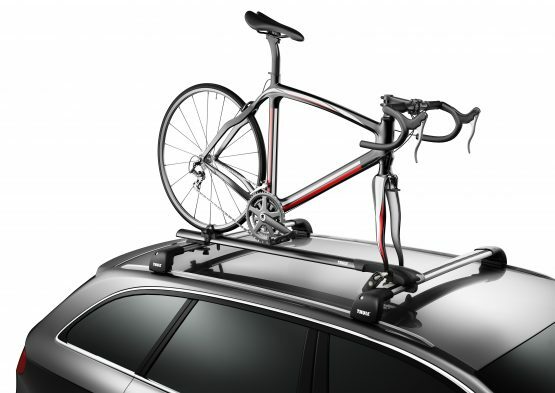 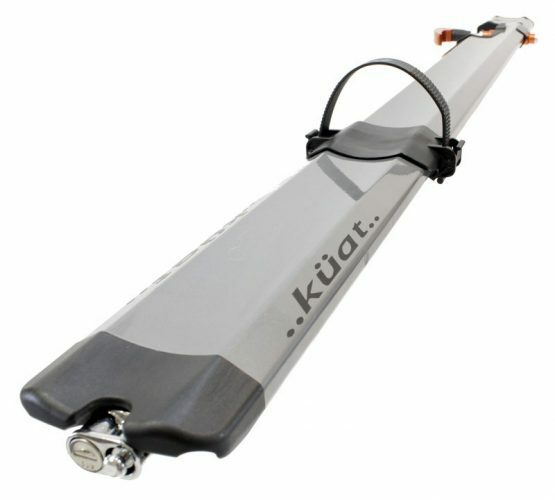 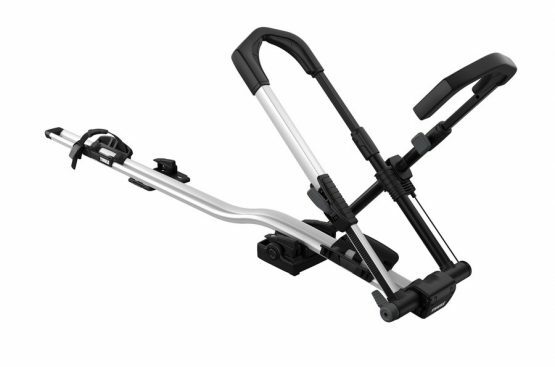 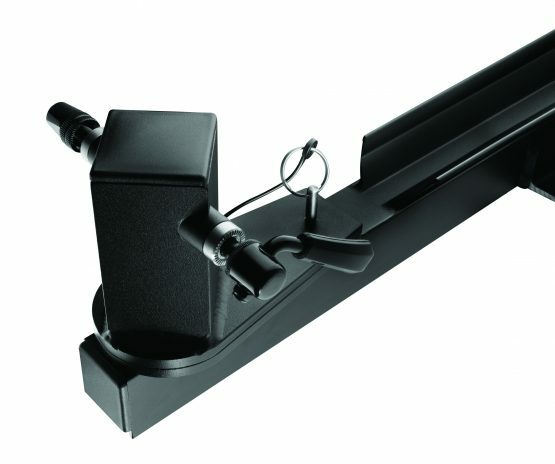 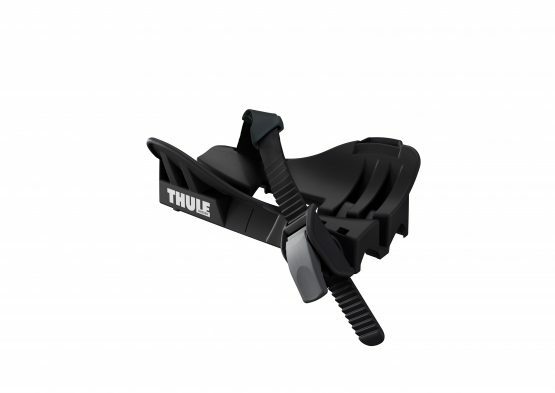 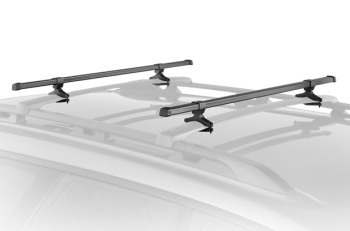 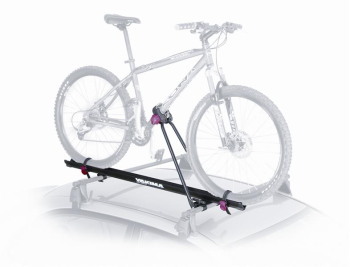 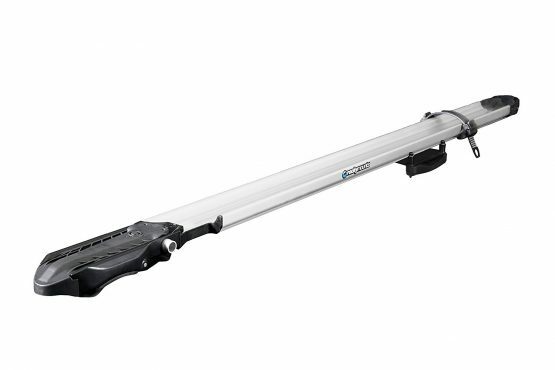 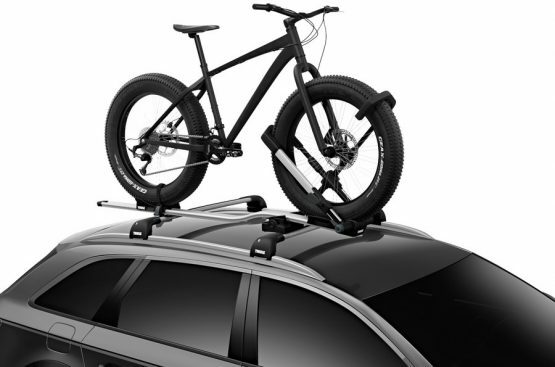 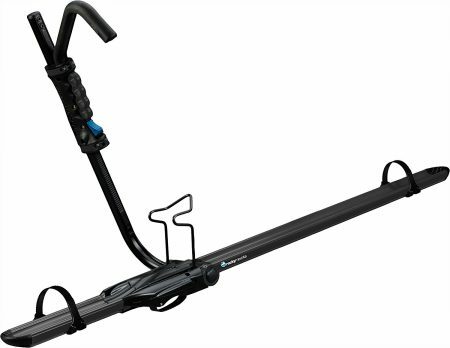 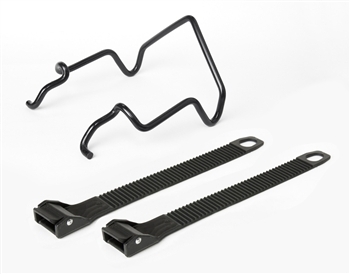 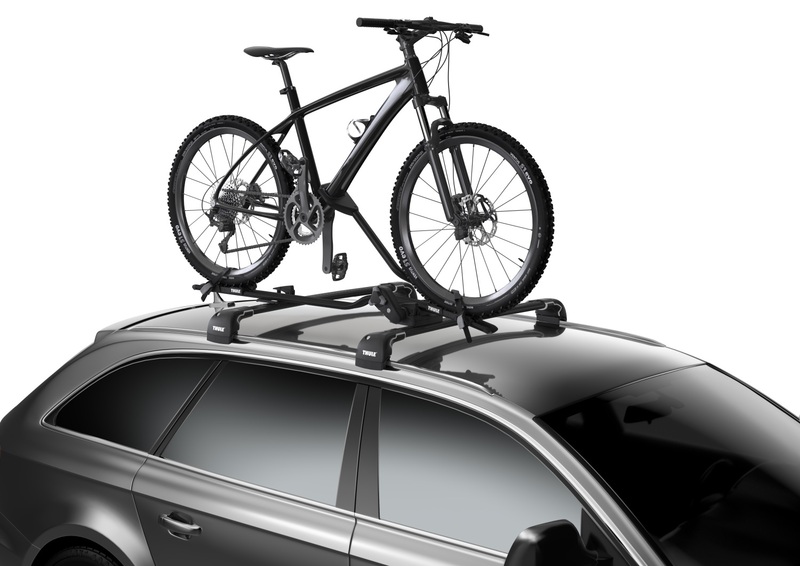 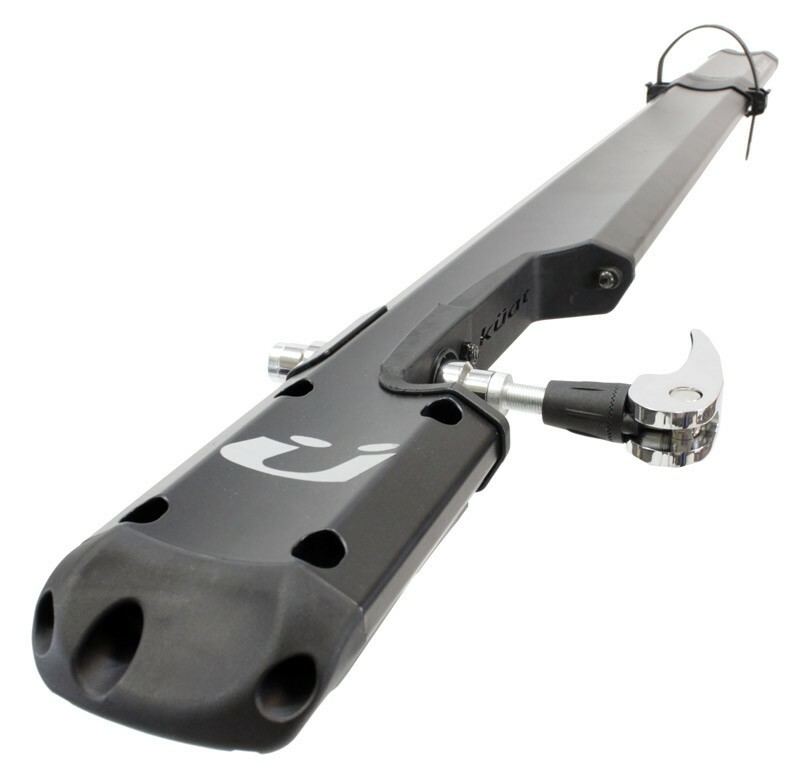 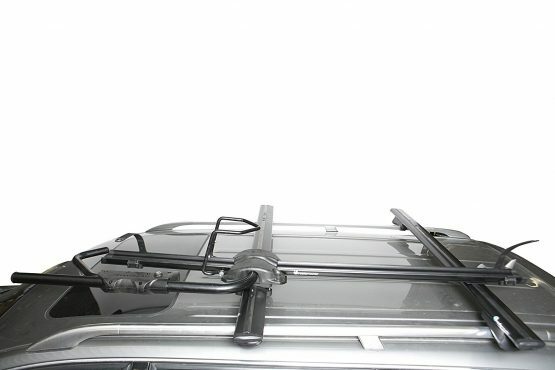 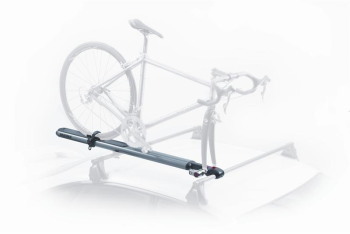 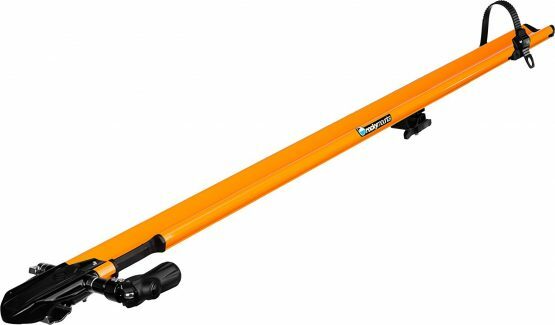 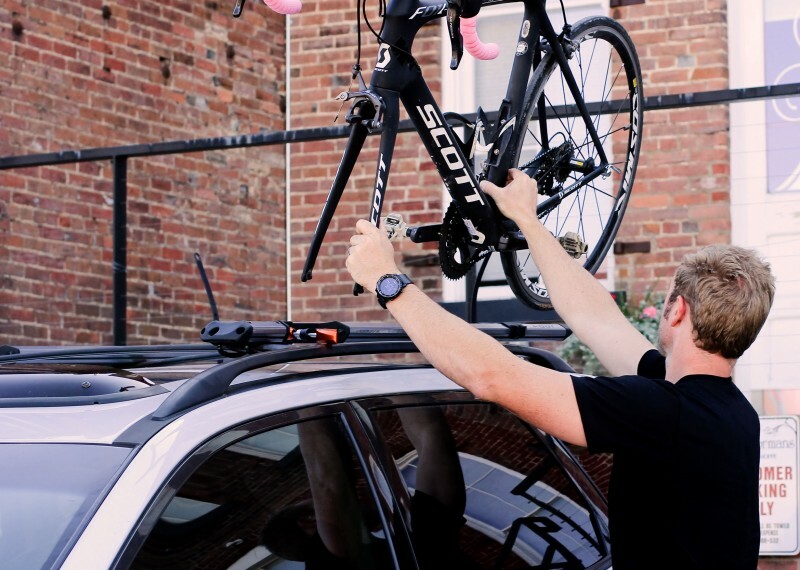 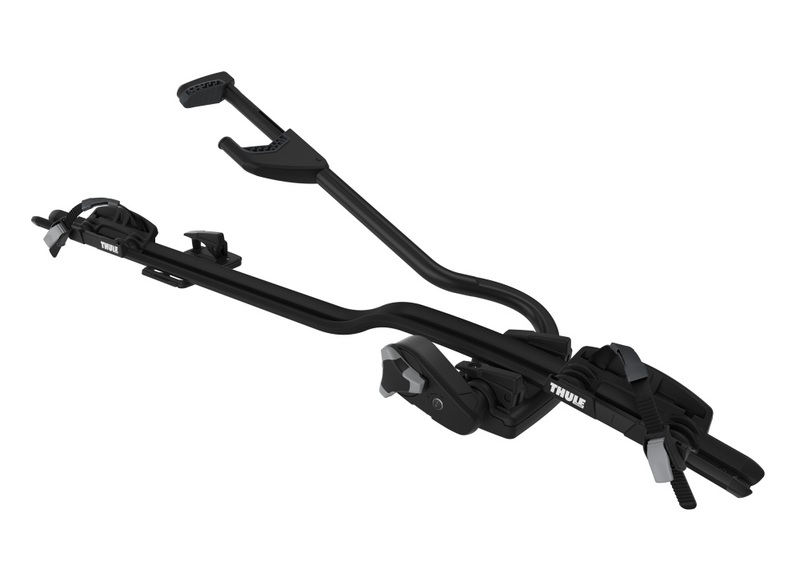 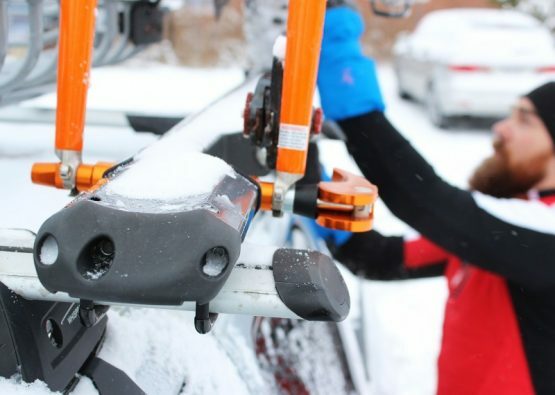 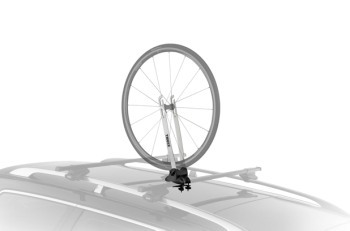 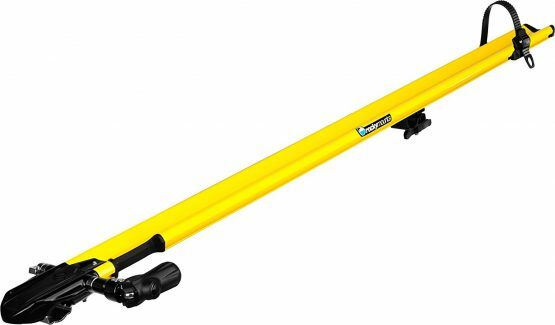 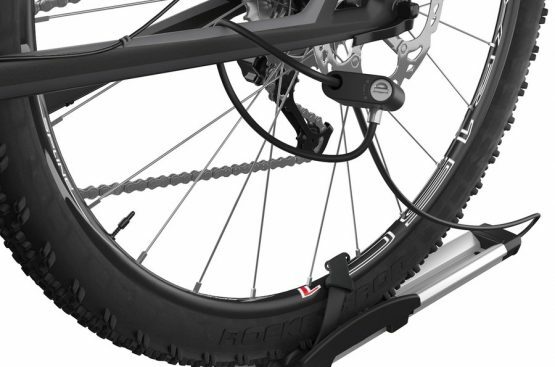 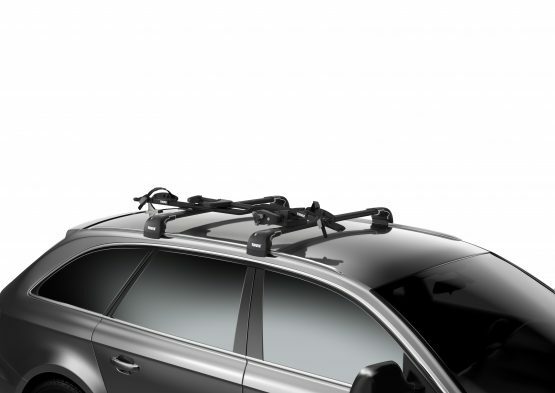 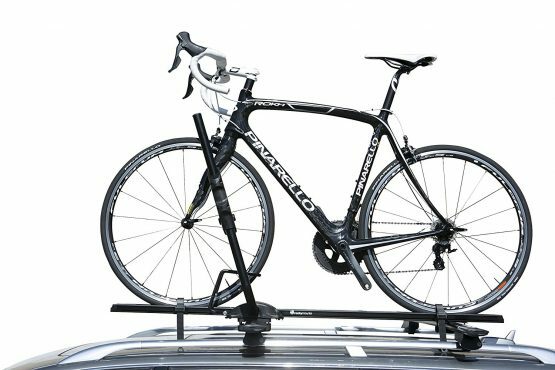 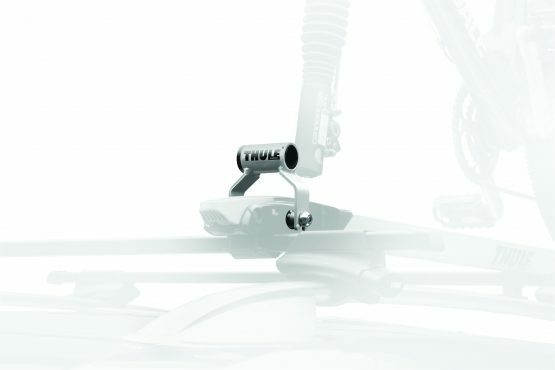 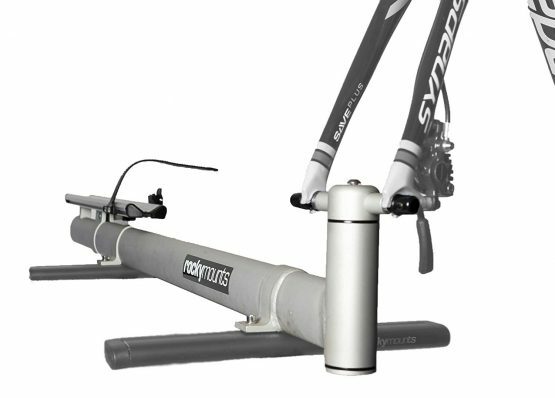 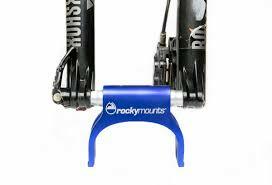 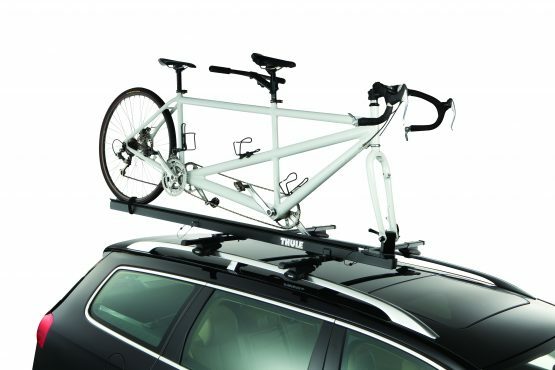 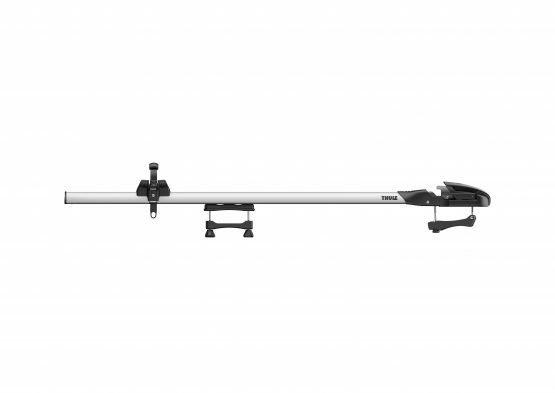 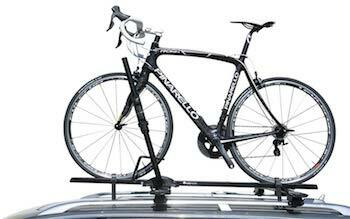 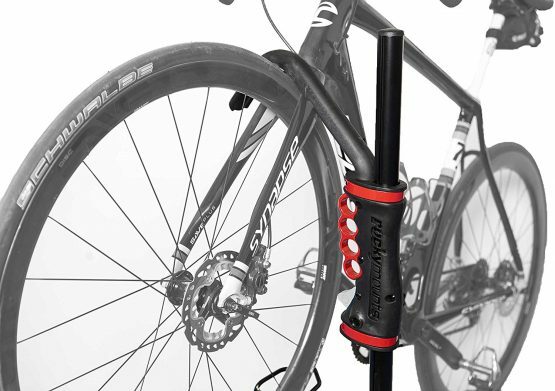 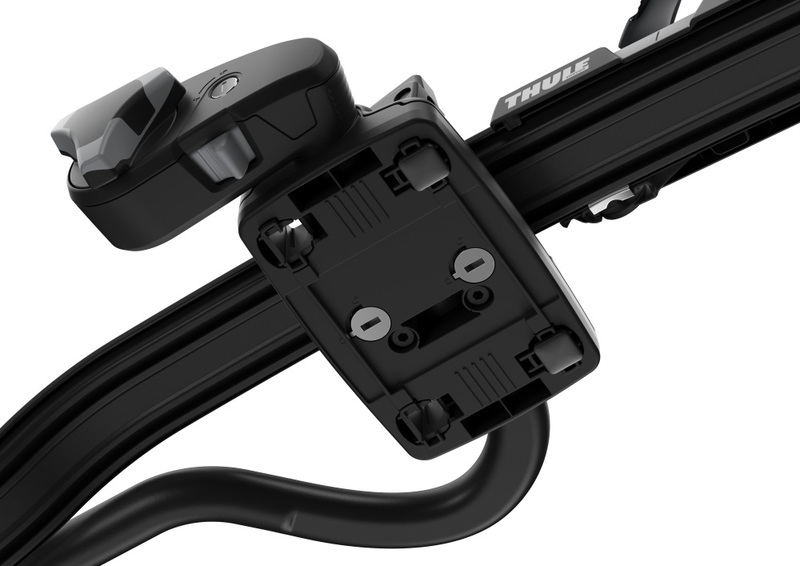 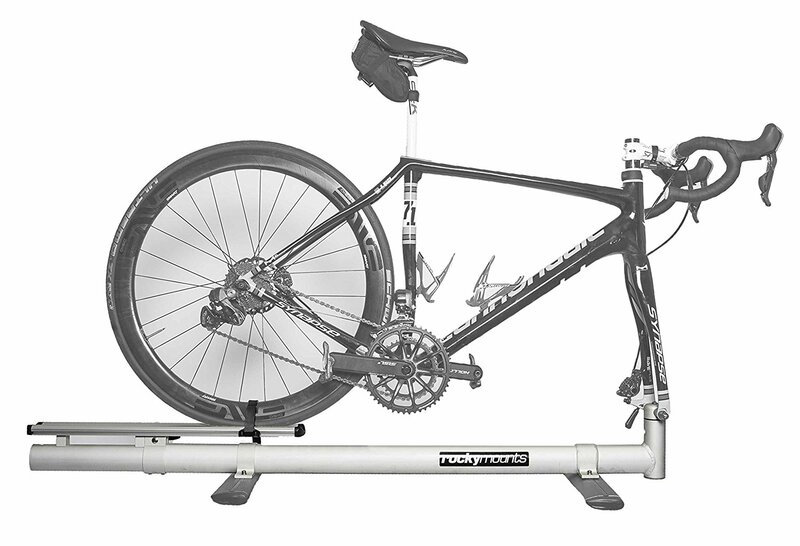 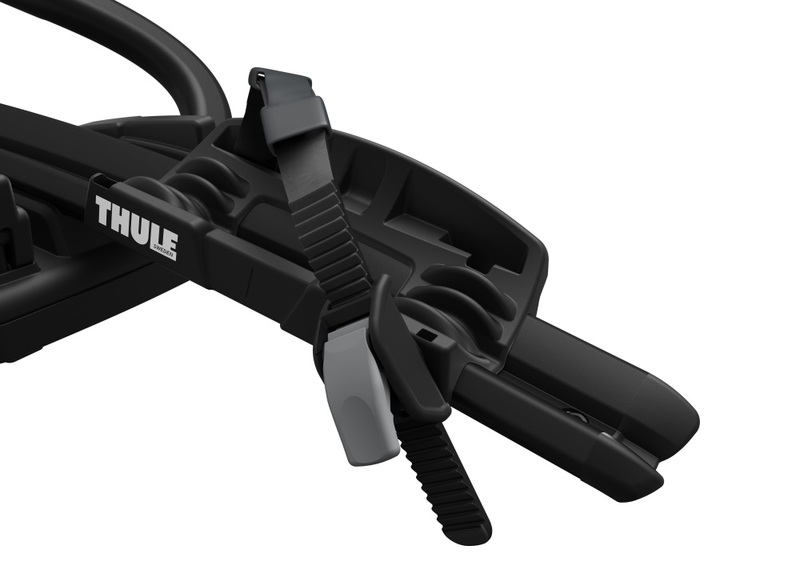 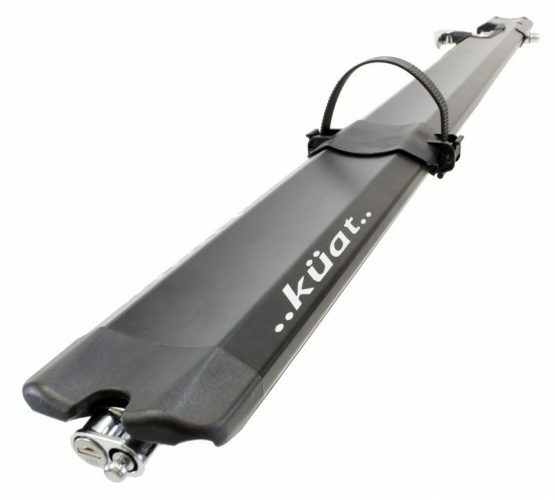 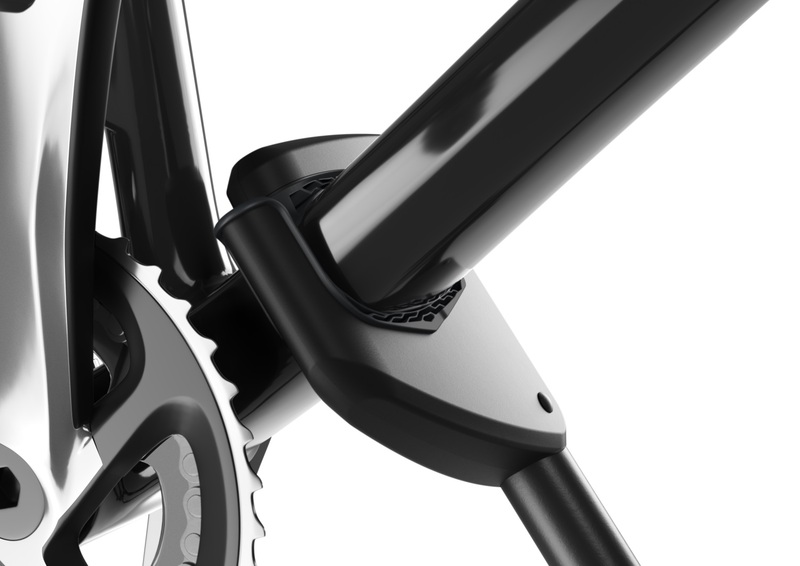 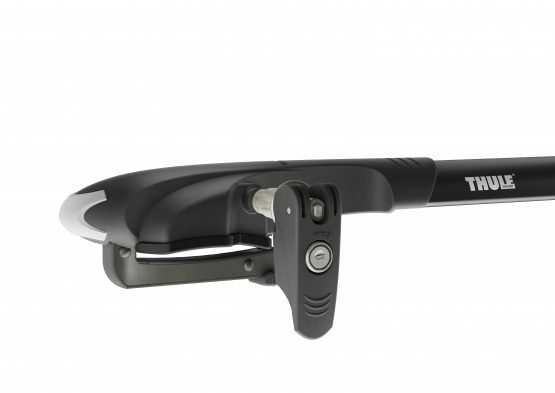 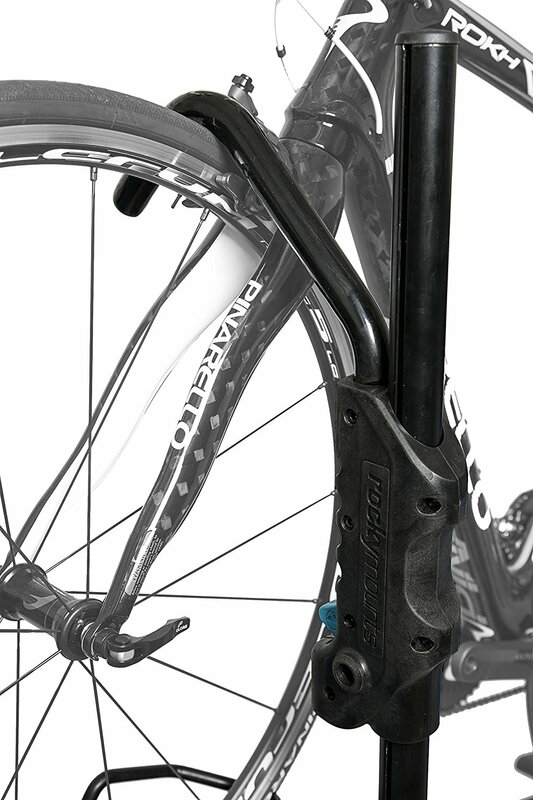 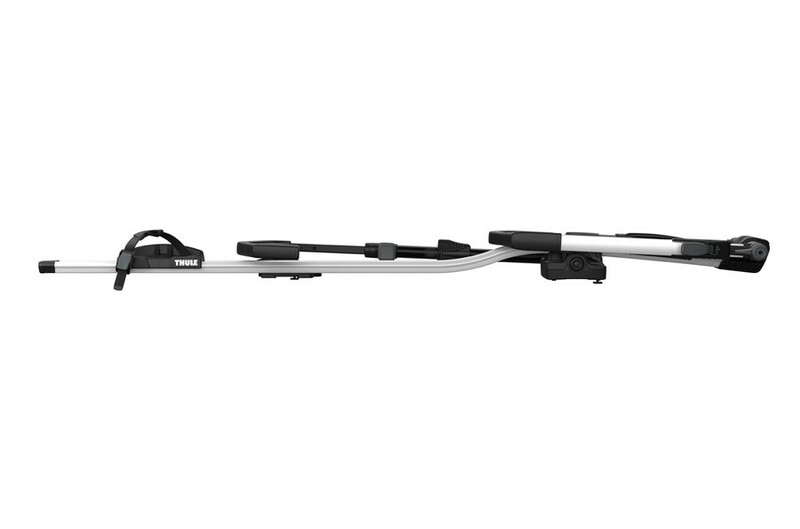 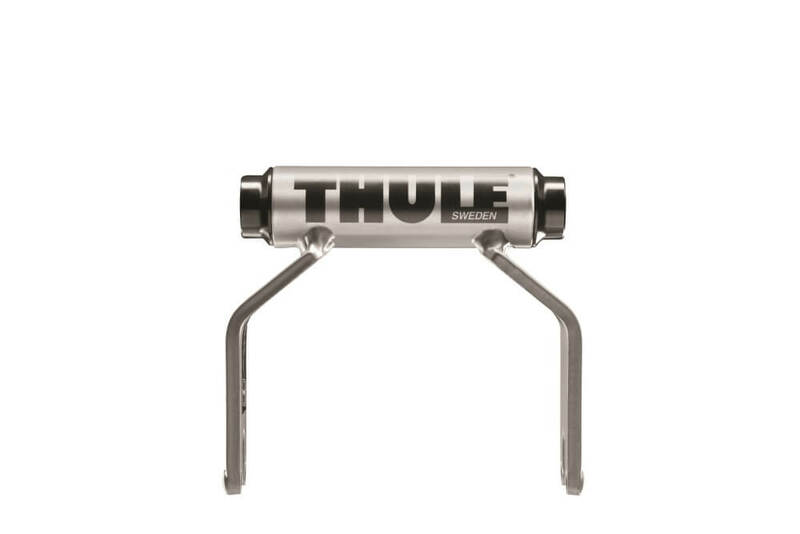 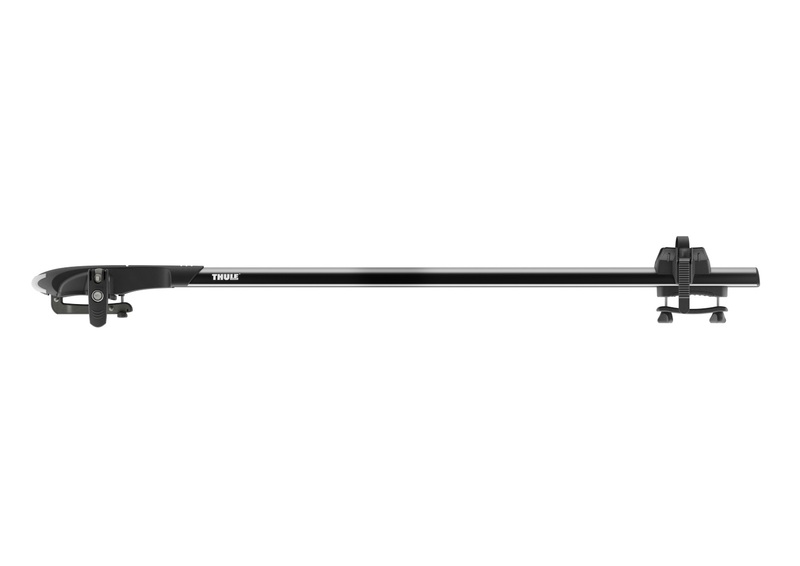 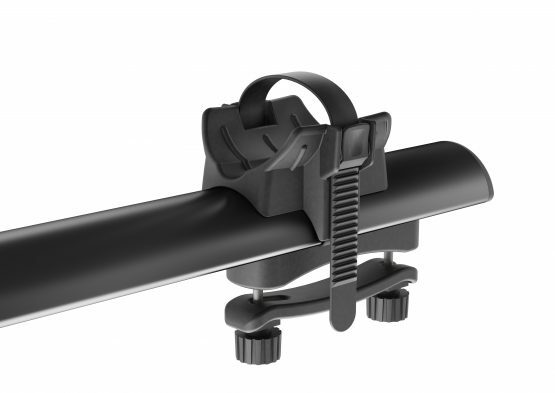 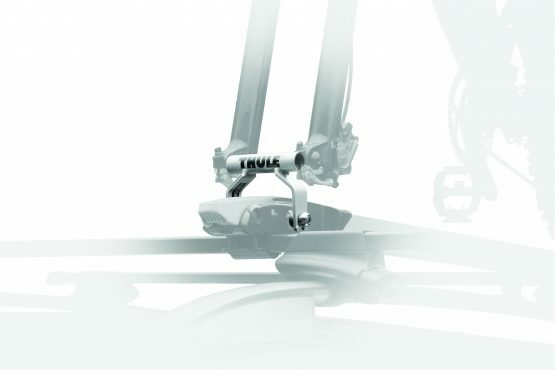 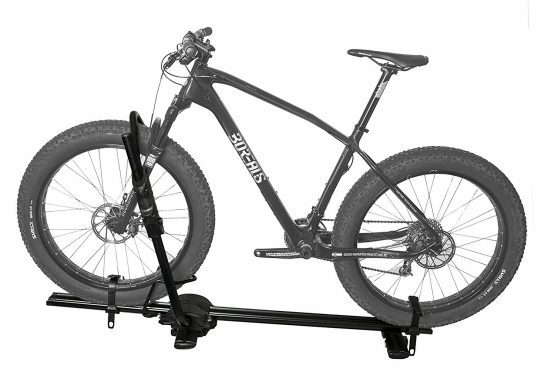 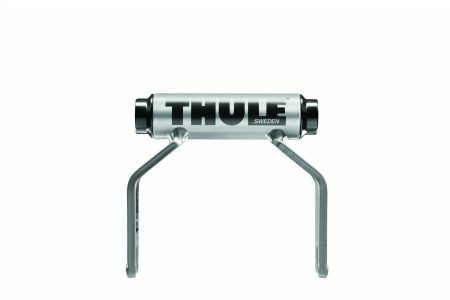 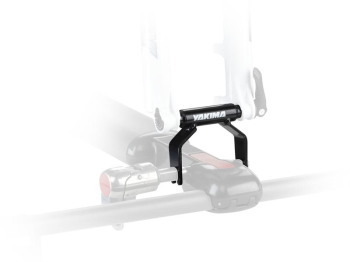 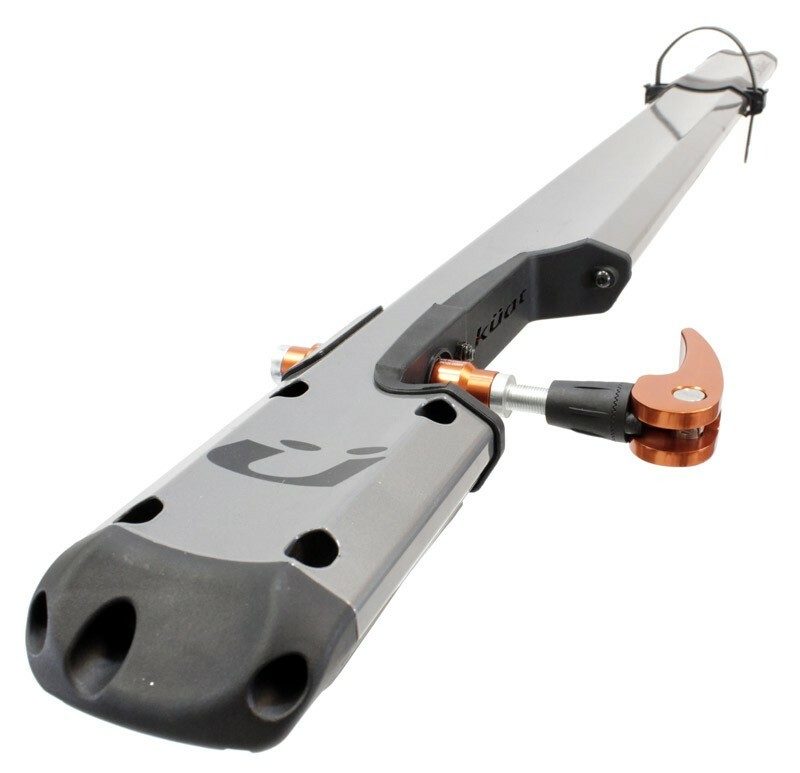 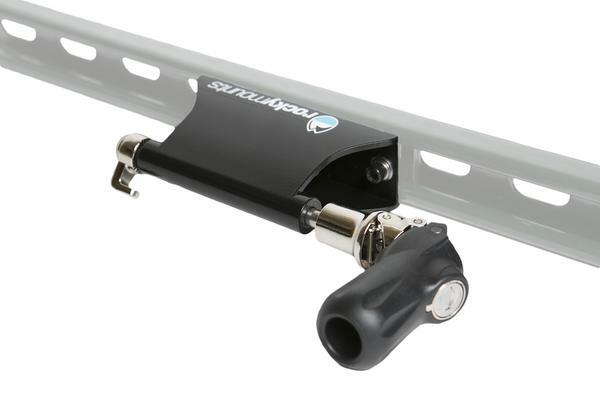 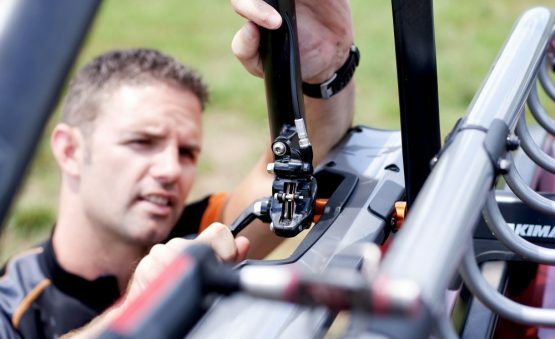 1) Fits either Thule® (square) or Yakima® (round) crossbars. 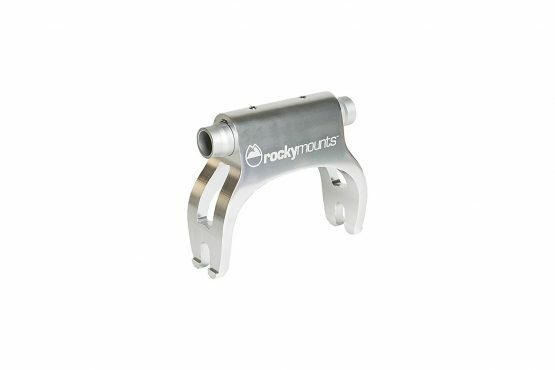 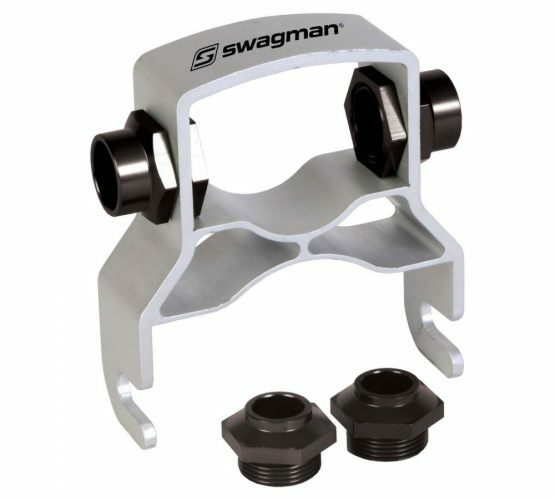 A bracket clamps around your crossbars. 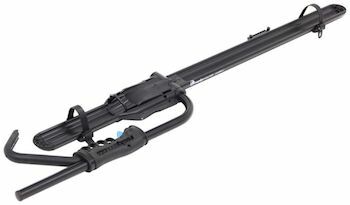 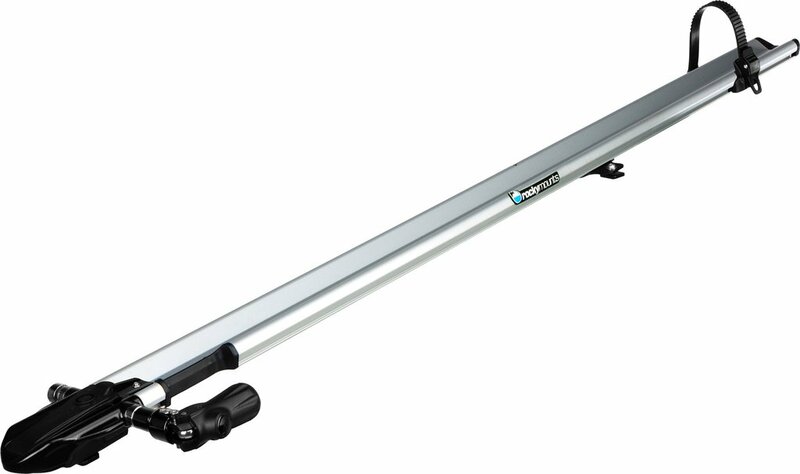 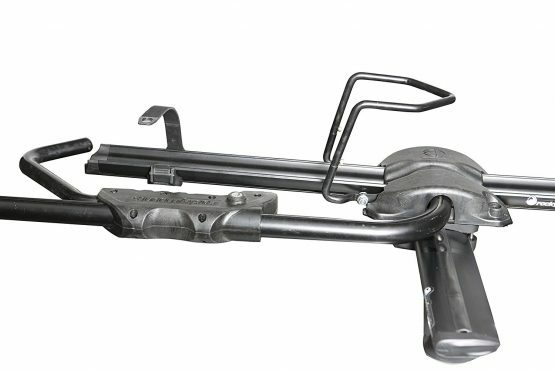 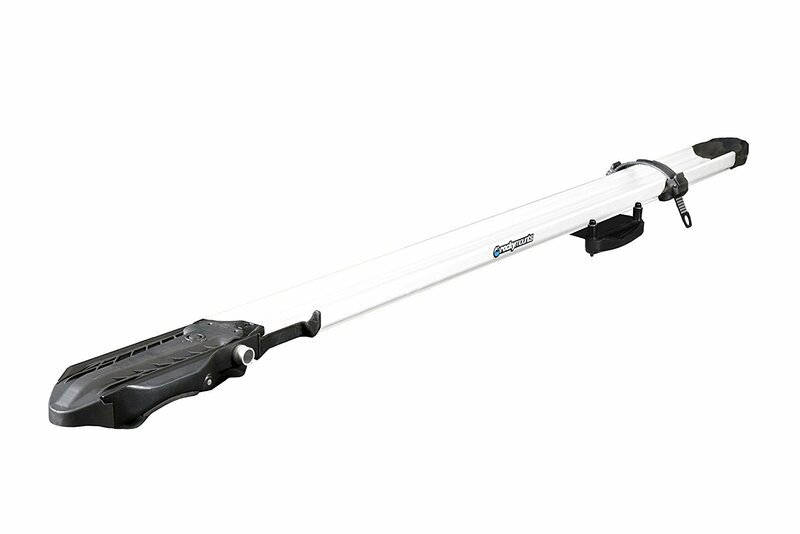 2) Fits slotted crossbars like Thule@ Aeroblade, Yakima@ JetStream, RhinoRack, Audi, BMW, Mini, Volkswagen, or Mercedes OEM crossbars. 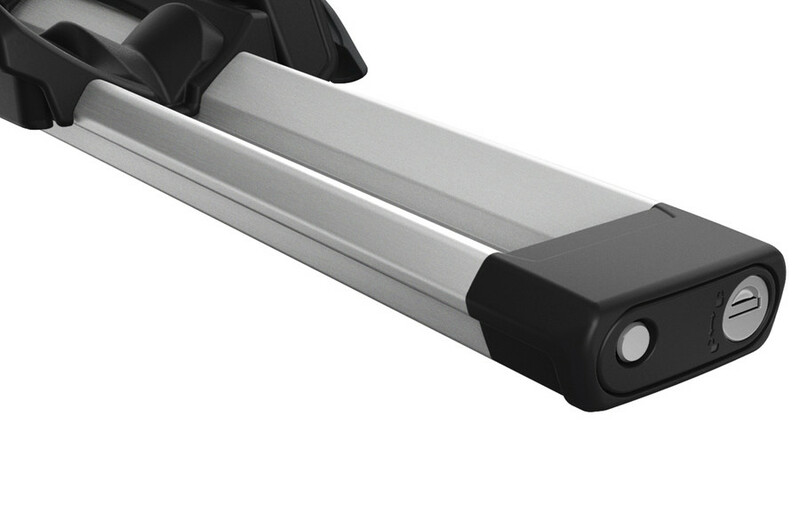 Mounting plates slide into the slots for a “floating” appearance with hidden hardware. 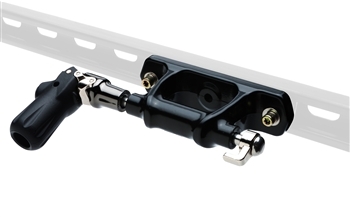 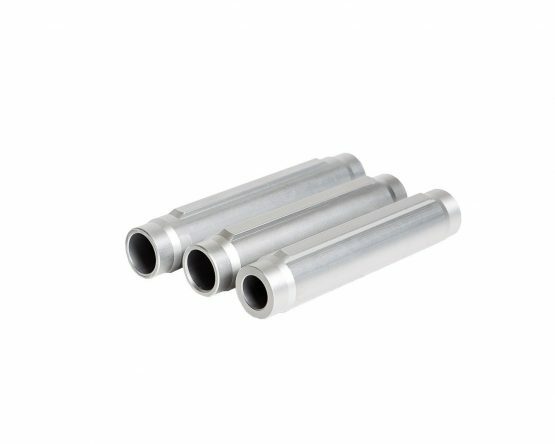 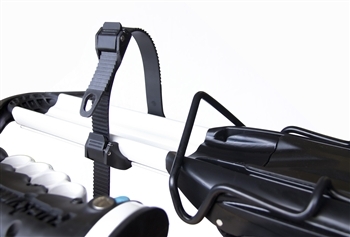 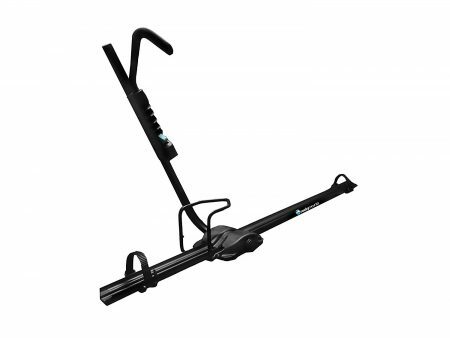 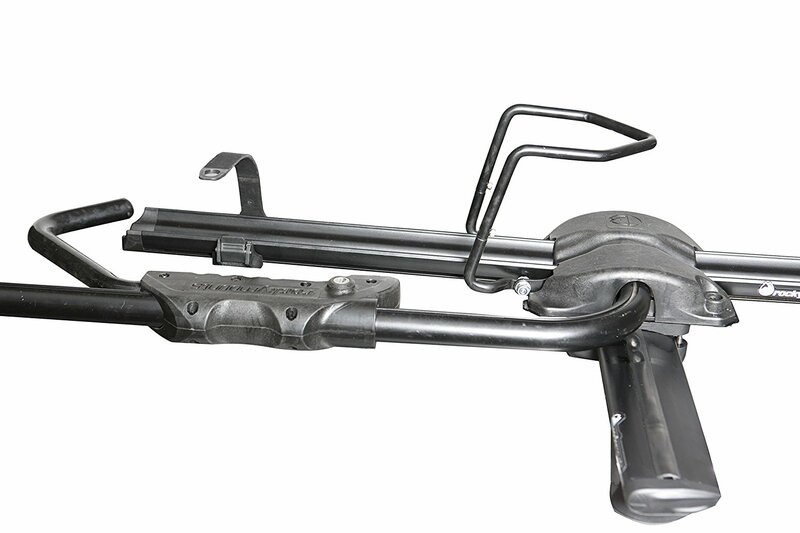 The Jetline does not fit OEM elliptical shaped bars from the car manufacturers like Toyota, Ford or Subaru. 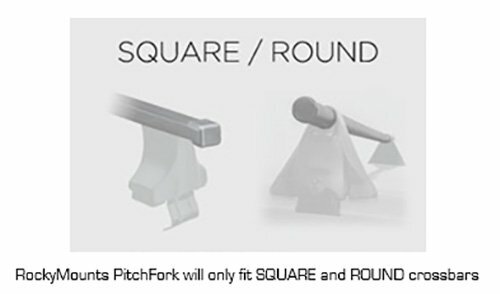 It only fits round, square or bars with a center slot. 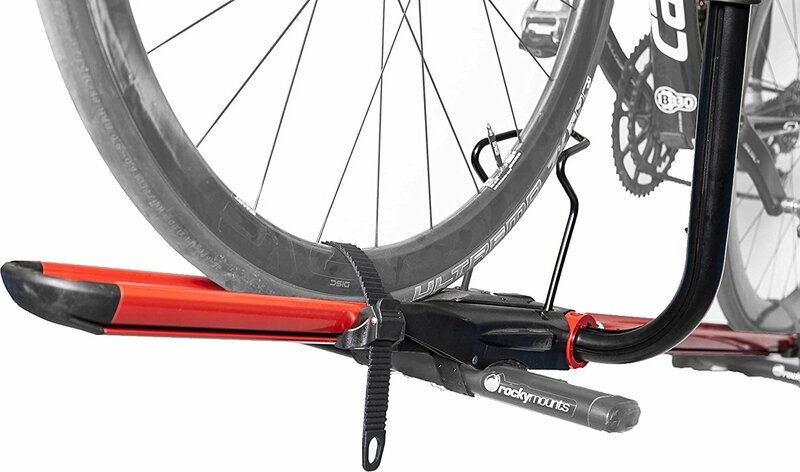 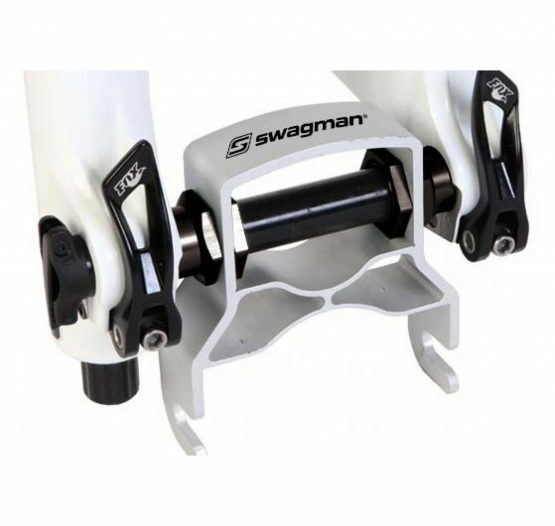 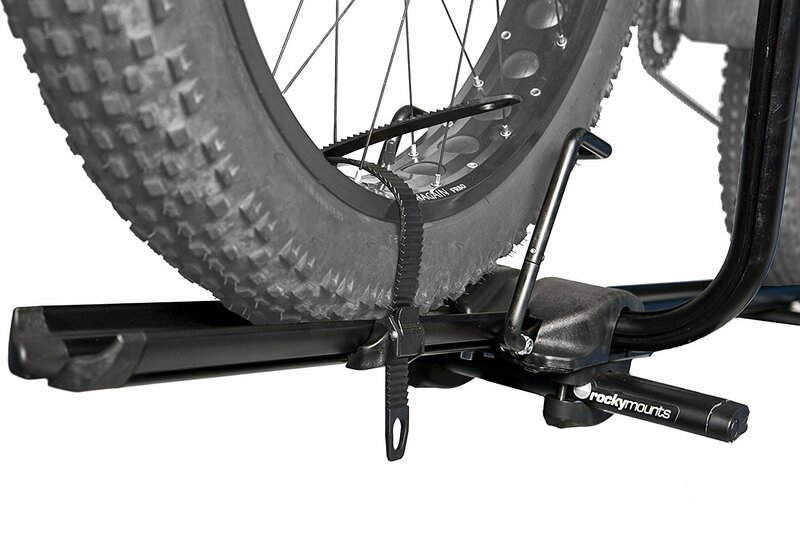 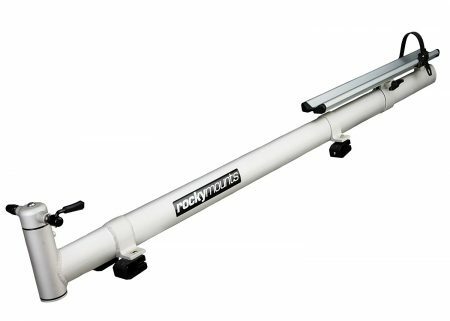 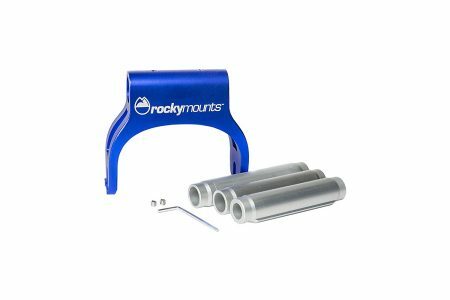 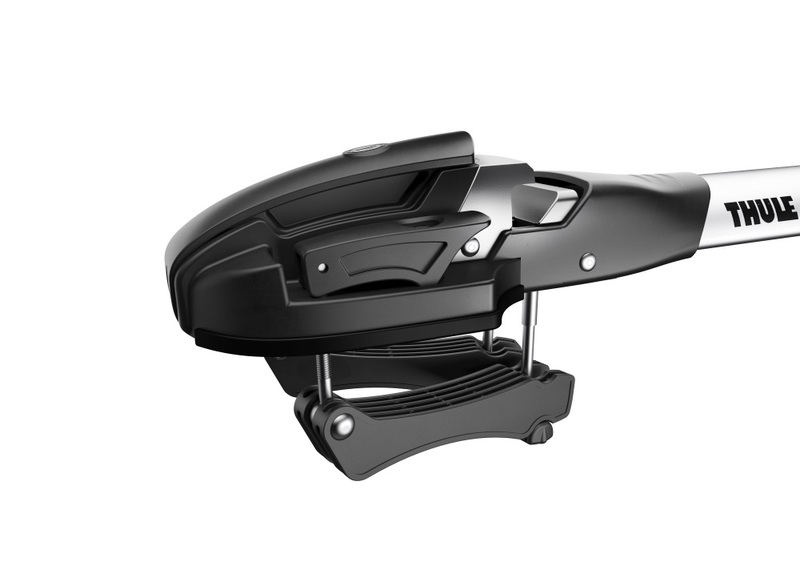 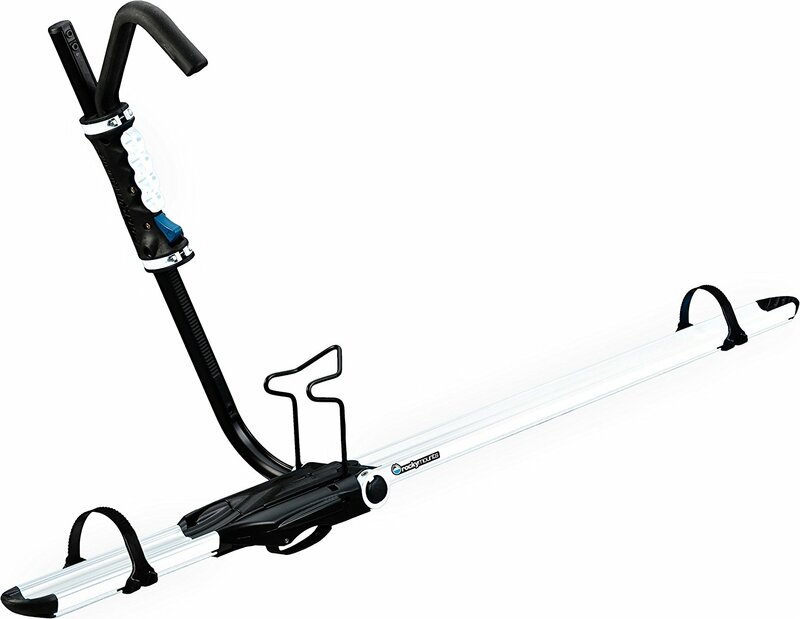 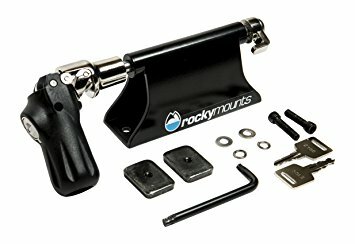 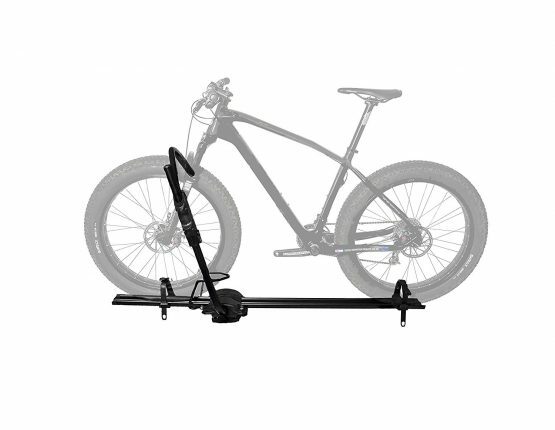 It includes a long throw, lockable stainless steel quick release, alloy head, aluminum wheel tray and ratchet wheel strap to secure the bike. 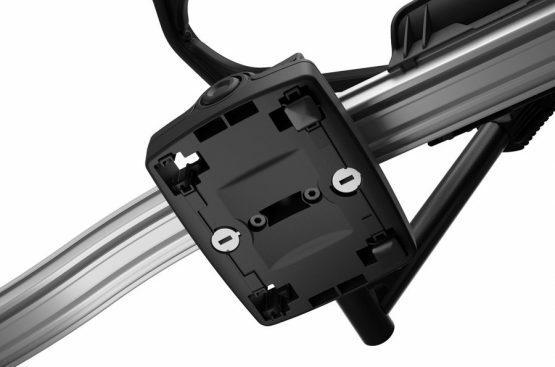 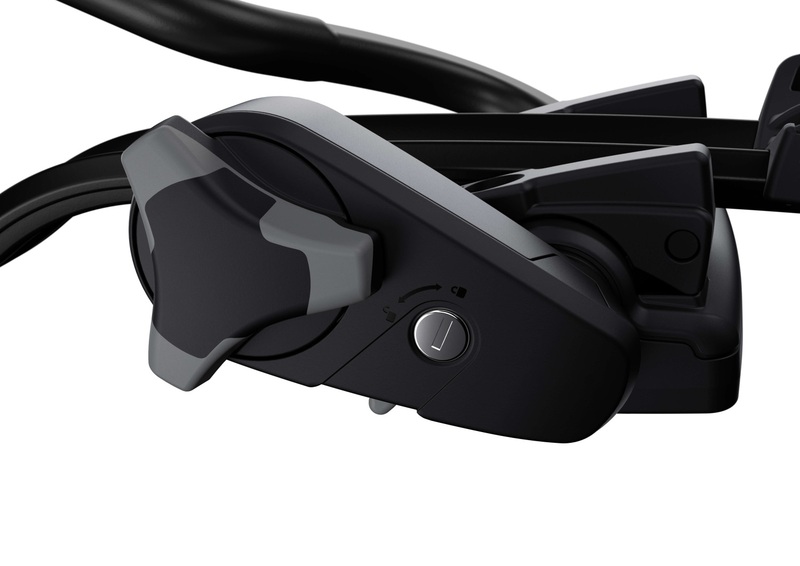 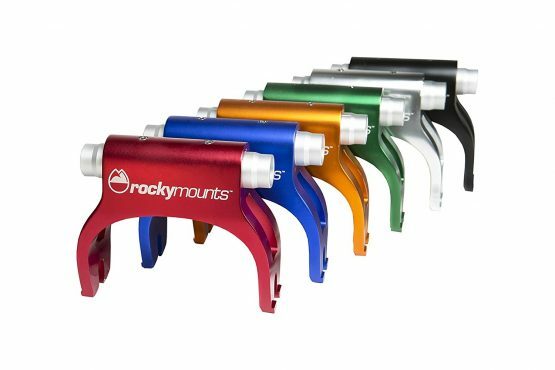 The locks are sold separately, you will need two cores per rack. 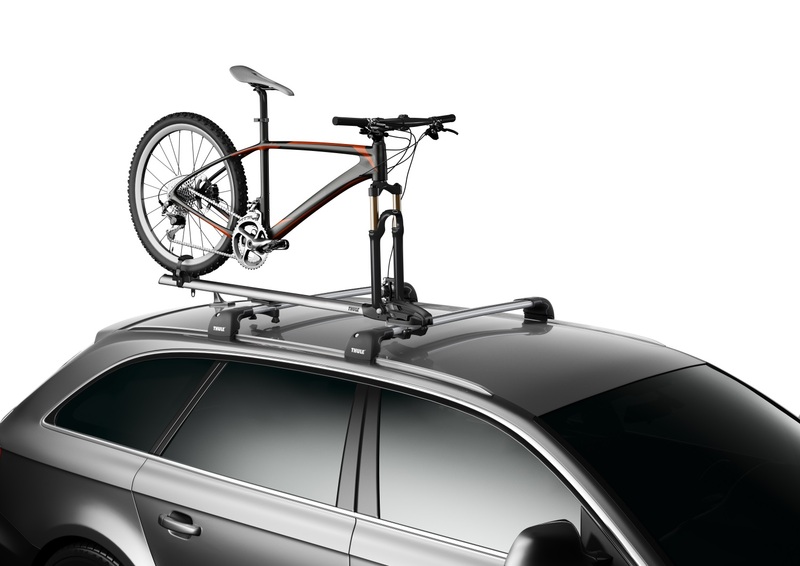 One to lock the rack to the car, and one to lock the bike to the rack.